I hope your Monday was splendid, in the midst of all the homework I have to do I was struck with an organizational system that wasn't working. I must admit, I am a lover of all things organized. Everything in my apartment has a home and is put away 99.5% of the time ha. 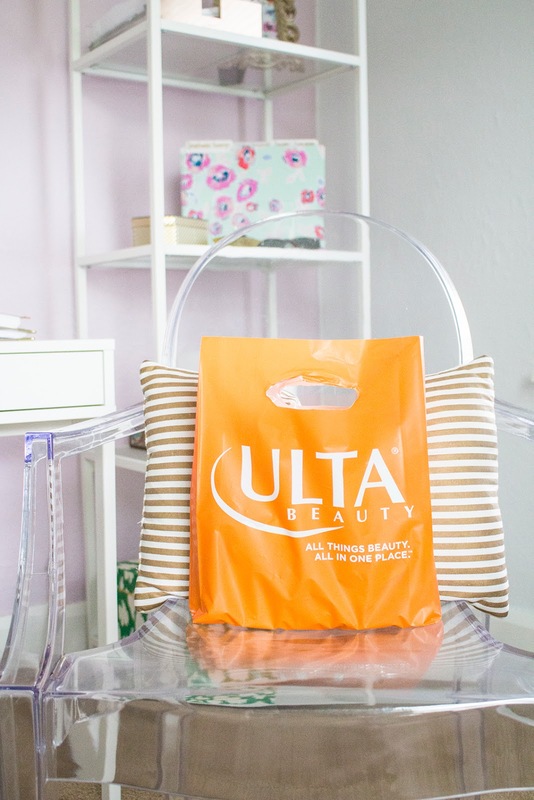 It can be difficult to organize and stay organized in an apartment. Apartments don't offer all the space and storage room like house…but that's what we love right? The apartment I am currently living in has a small linen closet across from the bathroom that house my linens & toiletries. There is one other closet in the "nook" that has become an issue area. Picture this: I do my homework in the nook on a dining table (it's never used for actually eating), it houses two large book shelves, craft storage and kitchen storage. I needed a way to convert this closet into an every-use closet that would create less clutter in the nook area (you will see more of this project at a later time). 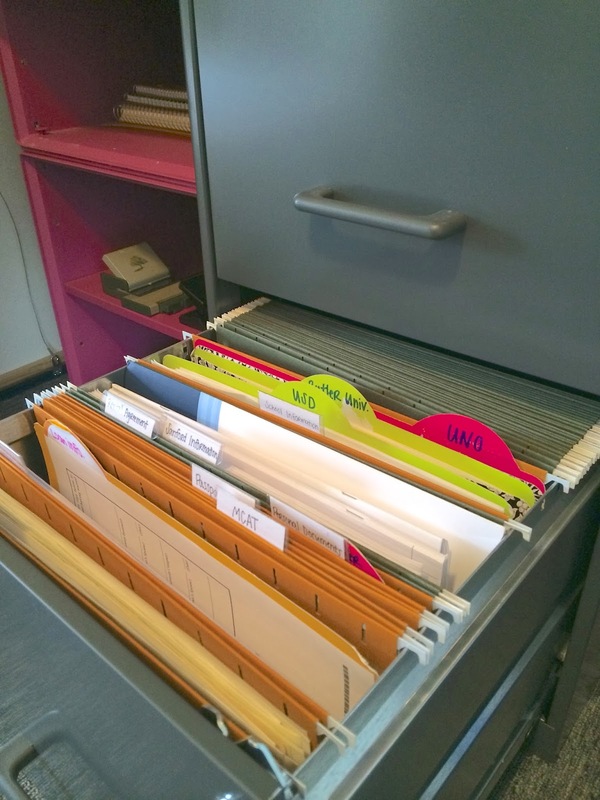 The first order of business was to find a filing system that is more organizational friendly and readily available, I had papers, journals, and folders everywhere but no place to put them. I was using a small filing box I found a Target a few years ago and that just wasn't cutting it. Do you see the dilemma? Everything was being jam-packed into this box and some even found its way to the trash. What I needed was a filing cabinet. I have been on the hunt for one for a long time but didn't want to spend the $50 plus for it. Over Christmas break I stopped into Staples and found this, at the time it was only $35.99, a great deal, and so I made my purchase. Being the colorful person that I am I wanted to paint it or wallpaper it or glitter it because it was hideous but I still am not sure what to do, I need some ideas on that one. 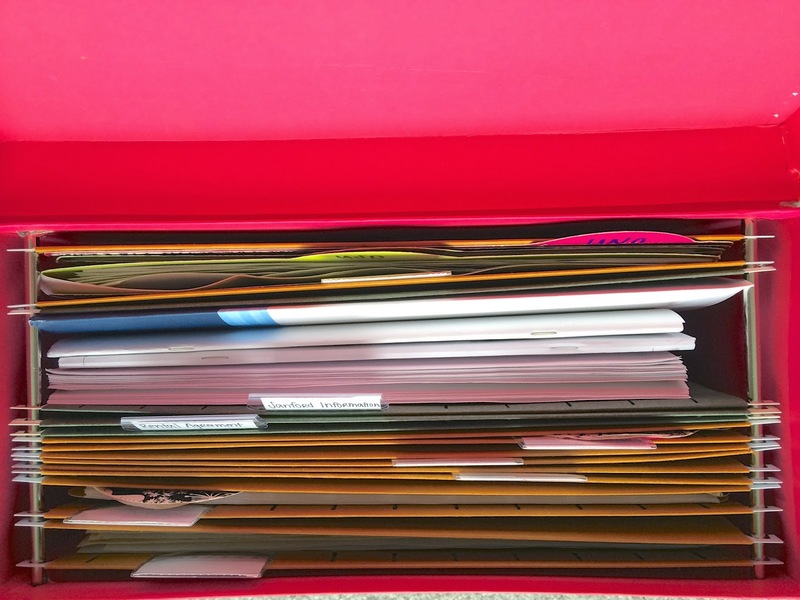 Back to the filing… also at Staples I found these great Martha Stewart folders and fell in love with her collection so I picked some of those up too. Let's take a look at some pictures shall we? 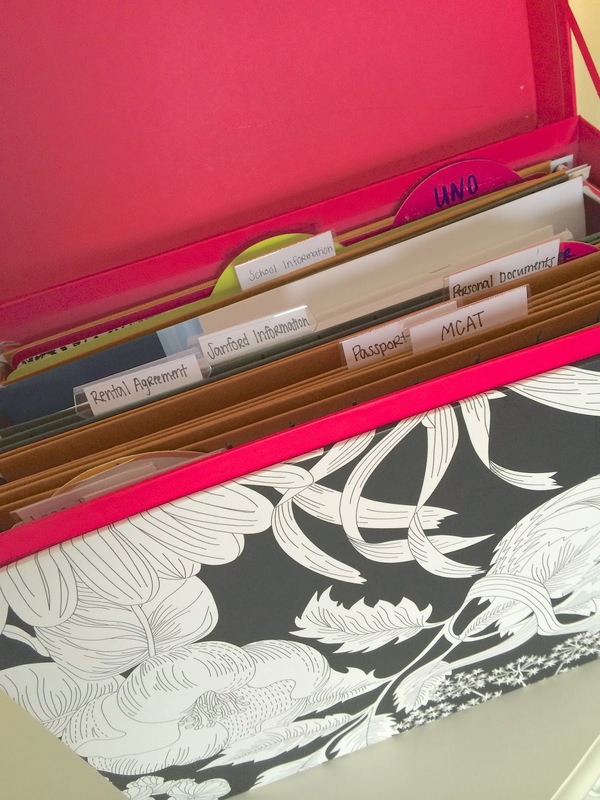 The folders matched my Russell and Hazel organizing accessories, I was tickled pink! My Dymo was also pretty excited I was going to label again! 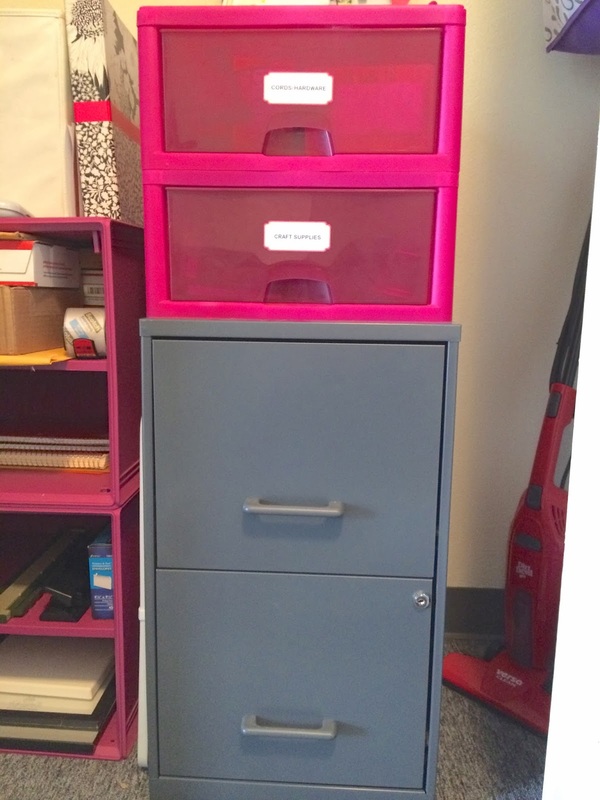 This is the final filing cabinet: top drawer to bottom drawer. Everything fits in here so nice and all my documents have a safe place where they can be stored. I have plenty of room to keep adding to it which was my ideal goal. The cabinet is gray in color and frankly hurts my eyes, I need ideas to spruce it up, thoughts?? 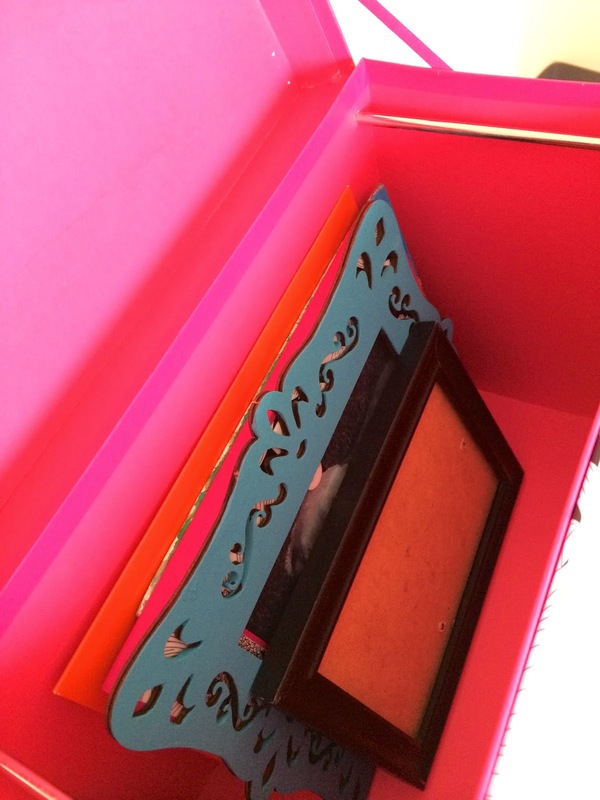 If you are wondering what I did with my other filing box I converted it into a picture storage box for now, I have a lot of unused picture frames that didn't have a home so this worked out nicely! 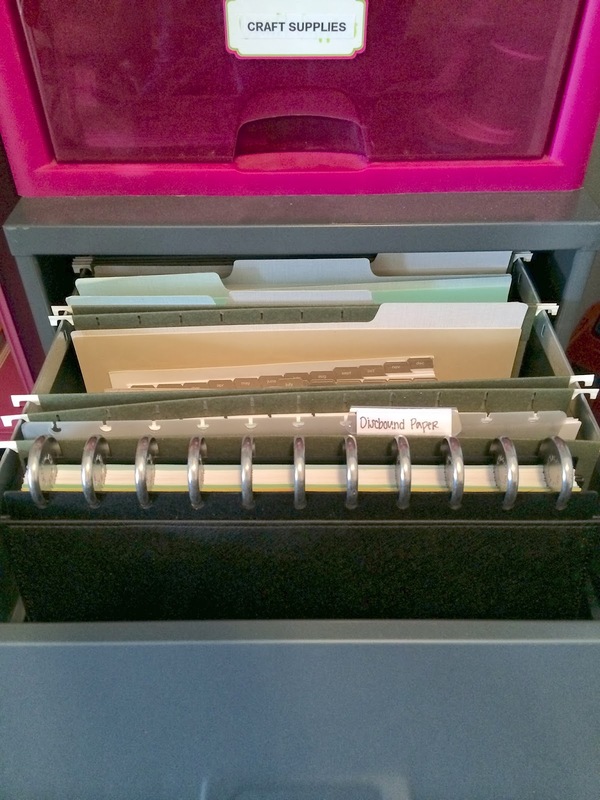 There you have it, my grown-up, boring filing system. Don't get me wrong it brings me so much joy to look at something that is organized and it fits perfectly in the closet, but I can't get over the drab color. Stay tuned for more on this project because it is far from over!